Bailey Whitfield ‘Whit’ Diffie (born June 5, 1944) is an American cryptographer and one of the pioneers of public-key cryptography. On March 25, 2016 Whit Diffie received 2015 A.M. Turing Award (the equivalent of Nobel Price in Computer Science). The ability for two parties to communicate privately over a secure channel is fundamental for billions of people around the world. On a daily basis, individuals establish secure online connections with banks, e-commerce sites, email servers and the cloud. Diffie and Hellman’s groundbreaking 1976 paper, “New Directions in Cryptography,” introduced the ideas of public-key cryptography and digital signatures, which are the foundation for most regularly-used security protocols on the Internet today. The Diffie-Hellman Protocol protects daily Internet communications and trillions of dollars in financial transactions. For more detail, please see: http://amturing.acm.org/. Whit currently serves as an Advisor at Almaz Capital, a venture capital fund that invests in early stage companies from emerging tech regions. 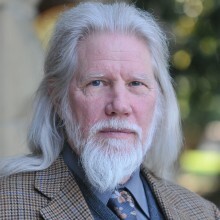 After a long career at Sun Microsystems as Chief Security Officer and then a Sun Fellow, Diffie served for two and a half years as Vice President for Information Security and Cryptography at the Internet Corporation for Assigned Names and Numbers (2010–2012), a visiting scholar (2009–2010) and an affiliate (2010–2012) at the Freeman Spogli Institute’s Center for International Security and Cooperation at Stanford University.